After earning rave reviews with Falling Off Air, Catherine Sampson's second novel has British documentary filmmaker Robin Ballantyne in Cambodia filming a documentary about land mines. But her main goal is to get information about a friend of hers who disappeared mysteriously. Working on documentaries for the Corporation, Robin's latest project is to research stories of people who have disappeared. But when she asks questions about missing Corporation camerawoman Melanie Trent, she gets the attention of one of her shadowy superiors, who attempts to warn her off. Why is the Corporation so desperate to keep this case under wraps? A murder, a kidnapping, and an accident with a landmine make Robin more determined than ever to find out the truth, risking her life in the process. I was delighted in finding this author and promptly bought all her books. I loved the atmosphere of her novels. Her characters are really well done and I feel that I'm missing friends when the books end. I listened to the first in this series and liked it so much I eagerly searched out the second. I would actually give this about 3.5 stars as the narrator and mystery of who the bad guy/guys was were excellent, but this wasn't quite the gripping storyline that the first book had. 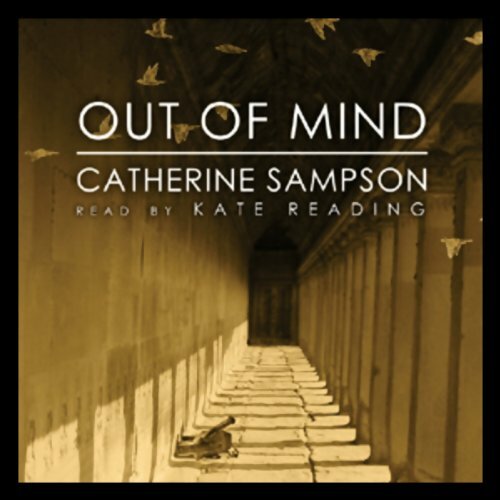 Still worth the purchase tho and I hope Catherine Sampson continues this character in audiobooks. It makes my drive time zip by! Like in the first one in this series (which you should definitely read first if you can), the mystery is not a great mystery, but you won't care. The characters are terrific. Kate Reading (I know it says Barbara Rosenblat above, but it's Kate Reading) is absolutely perfect in her narration. I could not stop listening, waiting to see what would happen -- then sorry when it was over. Can't wait for another one!